Prosecco is an Italian white wine, served chilled and best known as a sparkling (spumante) perlage, which can be (frizzante) semi-sparkling or (tranquillo) a still wine. Spumante is brut, extradry, dry or demi-sec based on sugar content. The name is derived from an Italian village of Prosecco near Trieste, a city-seaport and capital of Friuli Venezia Giulia region, where the grapes likely originate. The grapes that produce Prosecco is officially termed “Glera” since 2009 by the European Union. This light-green skinned grape is the main content of Prosecco which originates from the northeastern region of Italy, historically noted during Roman times. Other grape varieties reported (15% maximum) are the following: Verdiso, Biachetta Trevigiana, Perera, Glera lunga, Chardonnay, Pinot Bianco, Pinot Grigio and Pinot Nero. Had a great Easter brunch. I had a pasta and my husband had the meatball sandwich. Both were delicious. Looked at the dinner menu and can't wait to go back. Service was great and the restaurant and bar had a nice ambiance. We have been there the last three weeks and everything was perfect the music saturday night was wonderfull...We will be coming back. First time here with friends - nice atmosphere, great service! Everyone’s food was just ok..for the price we were expecting great. Appreciate the gluten free options. Located in a quiet corner. Live cello music which was nice but overpowered by patrons' voice volume. Good execution of quality food, except the Polipo Carpaccio which was very salty. Had a wonderful time. My lobster was a little over done. Everyone else’s dinner was perfect (party 0f 6) Did not feel rushed. Dessert was so so. Way too much gelatin in the mouse and overly sweet. Did not offer coffee. Eaten their before and will eat their again. This is a great neighborhood gym. The ambience is beautiful, the prices are very fair, the service is outstanding. They have some very unique dishes on the menu including octopus carpaccio which is delicious. The presentation of the food is also exceptional. It is a wonderful place to eat and a great alternative to the strip for locals. Overall our experience dining at Prosecco was excellent. The service was exemplary and the food superb. 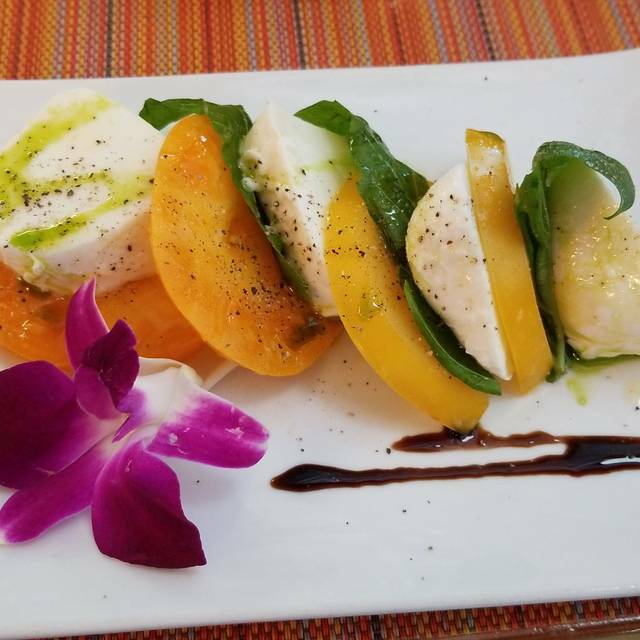 The mozzarella was chilled and fresh and among the best found in Las Vegas. My blacken pasta with crab was excellent and reasonably priced. The only drawback is the noise level, which inside was quite high during the peak hours. However, this is an option to sit outdoors or just make reservation for 7:30 or later. I would recommend Prosecco to anyone looking for a fine dining experience in Henderson. This is one of our most favorite neighborhood restaurants. We have never been disappointed when dining there. Everything from the warm welcome to the last sip of coffee is always beyond compare! Have been Prosecco customers for years. 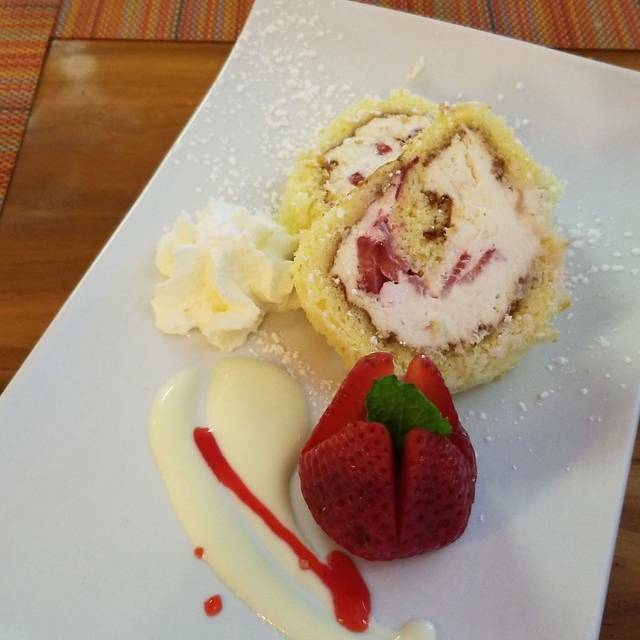 Consistently good service, variety of menu with well-prepared ingredients. Our favorite dinner stop on the way to the movies on a weekend. Great find off strip! Food was excellent, with live music and hip atmosphere. Would highly recommend for date night, family dinner out or a special occasion. Service was great and the food was excellent. Glad we came across this place. My family and I are diners and eat at many of the finest restaurants. Prosecco’s is consistently outstanding at every level. From being greeted at the door, the bar, bartender and drinks. The service is top notch, waiter (we request Marco) and bus boys. The atmosphere again is very good. The lighting is spot on. The live music is always at a perfect level, loud enough to enjoy yet it doesn’t compete with conversations. 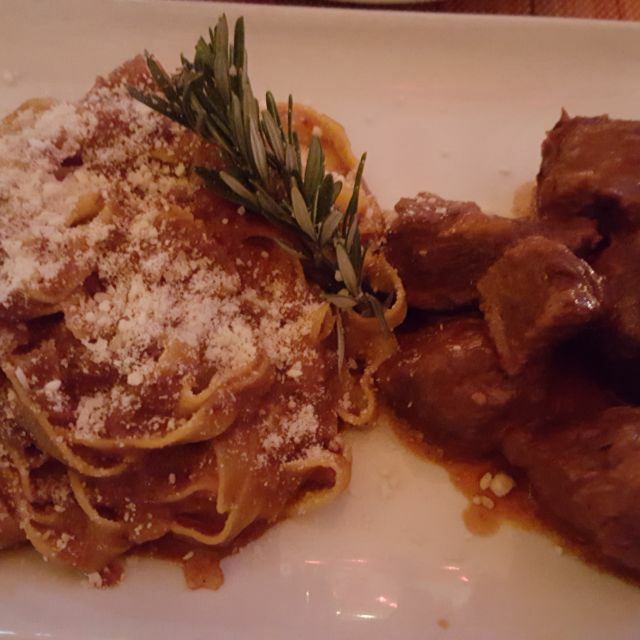 Some of the most delicious, creative, authentic Italian Food in this city. Over the top service, excellent wine list and full bar. Easy parking. $$ to $$$.....don.t pass up the Osso Bucco or Chicken Marsala. The restaurant exceeded our lofty expectations. The food, menu, value, and most of all, the professionalism of the servers and management was impressive. These folks are serious about their craft and it shows in the presentation and attention to detail. Neighborhood gem for sure. Located in a strip mall, it still manages to become a classy, romantic spot after dark. I hope they can retain their special qualities. We had a beautiful experience from the minute we entered the restaurant until after we left. I've been here two other times and it's always been good. The bread is warm and delicious, the service is good, and it's a convenient location. I had the salmon for dinner and it was okay, but nothing special. 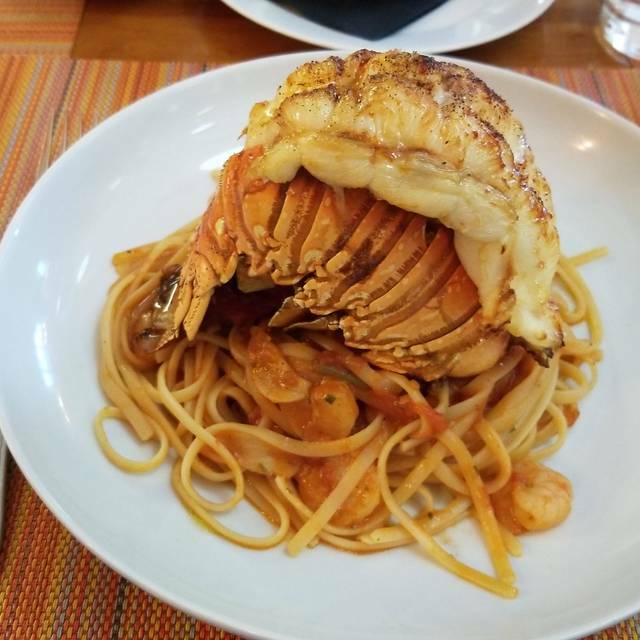 My guest had the lobster and he enjoyed it. Looking forward to dining on the patio when the weather improves. 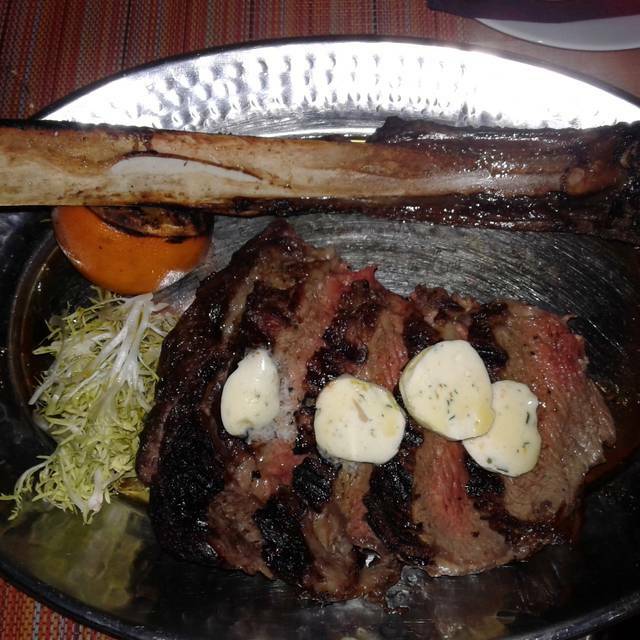 Very long wait for the Tomahawk steak, the waiter didn’t provide any disclaimer. And although we asked to bring the food as it was ready, they brought all meals out at once. The kids meal was brought out about 10 min prior to all other meals. Especially enjoyed the pasta wheel for two prepared at the table, delectable meal with truffle shavings! Excellent service and fantastic fresh pasta! Hidden away gem with great menu and wine list. Restaurant was bustling on a Wednesday evening and glad we made a reservation. We were seated right away. There were some specials and my husband chose the fish. 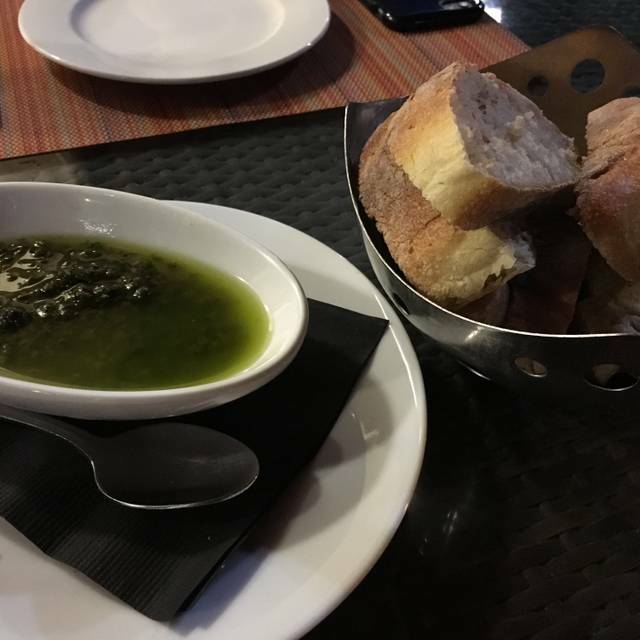 Everyone else ordered and our salads and drinks were served promptly along with delicious fresh bread with pesto. Once we finished, we eagerly waited for our entrees. We waited quite a while until we felt we had to inquire how much longer. The waiter explained that a large party that ordered ahead of us caused the kitchen to get behind. Our food came shortly after that and everyone enjoyed their choices. Although the wait was a little long, it would not stop us from visiting again. Excellent restaurant. One of our favorites. Our guests love it and plan on going back. The short ribs were fab. Service excellent. Used to love this place but they raised the prices, changed the menu and no longer offer some of the less expensive dishes. The food was ok but nothing special for the price. We had another spectacular meal at Prosecco; excellent food and attentive service. As a Vegan, I love their Minestrone Soup and their Cappalleni Pomodoro pasta. The pasta has those small, sweet tomatoes that are a great complement to the dish. 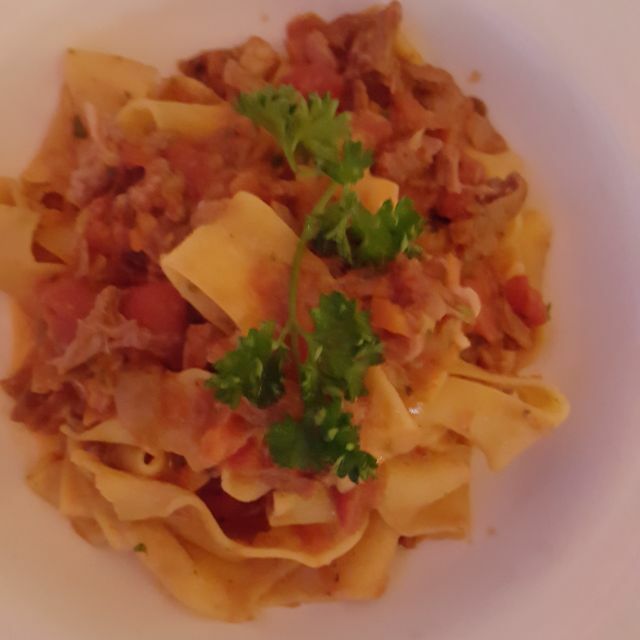 Outstanding restaurant with great, authentic Italian food. I am a local and I am a restaurant manager as well. We love this place! Noodles were on point. Great wine selection. Bad cocktails. Had my drinks remade because the bartender couldn't make a New York Sour. We came here for dinner a few nights ago and liked it so much that we returned for lunch. This was a weekday lunch so the place was nearly empty. The eggplant Parmesan was good and the pasta was very good (I'm not pasta fan). My husband had the burger and it was very good. The prices were a little steep considering that the place is empty for lunch. I hope more people find this place and love it so it will stay in business. We'll be back. I love that they offer delicious vegan options. Minestrone soup and Capellini Pomodoro! Fantastic restaurant in a strip mall. Don’t let the location put you off as the food and service are what you would expect in a 4 star restaurant. Wine list is excellent and priced very reasonable. This place is a neighborhood gem. You know a restaurant is good when the bread is warm and delicious. The Caesar's salad was good and it was large enough for us to split. I had the Mediterranean Sea Bass and it was delicious. 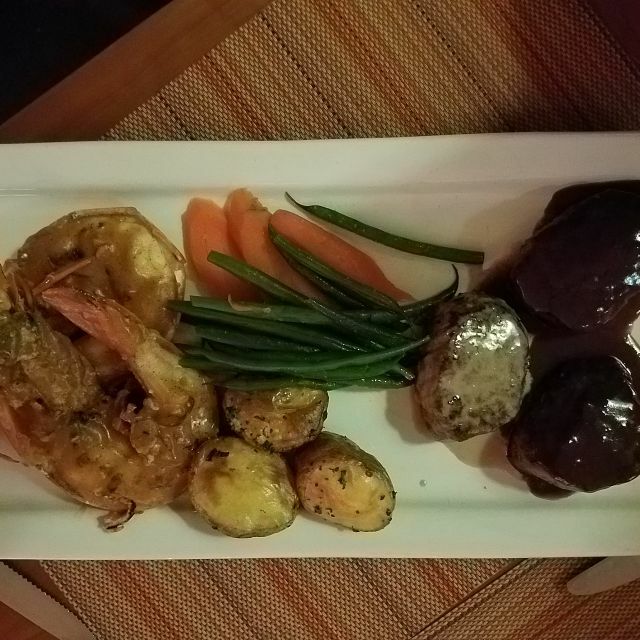 The portion was modest, but it was fine for me. 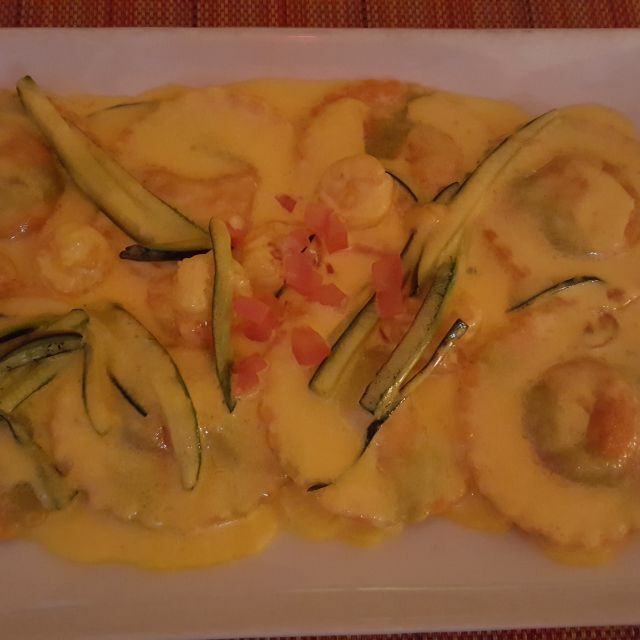 My husband had the lobster ravioli and it was fantastic. I'm not a ravioli fan, but this was outstanding. The tiramisu was juicy and fresh. The cocktail menu was okay, but they have a full bar so you can have anything you'd like. The whole time we had dinner there was not an empty table in the restaurant so I suggest making a reservation. Bon Appetit! Always a nice dining experience. Great wait staff and kitchen.